Remember that when there is much emotion coming from your child, the best way to defuse is to suggest without emotion that he go somewhere else until he is calm. Sometimes it takes repeated suggestions for him to leave. Unless there is danger, parents should allow siblings to work out their differences. Use spanking as a last resort for “Basic German Shepherd” issues. Use spanking for your child who is under three years old. Use spanking only in a painful way. For chronic stealing – avoid it becoming a power struggle – find out the underlying cause or causes. Use sensible, not emotional consequences. P. 200-201. When both are calm, you might suggest that people use that type of language if they don’t feel good about themselves or if they don’t have a good vocabulary. When on the phone, the best way to get a child to stop bothering you, is to ask the caller to hold on a minute, ask the child to go to his room and if the child is not compliant ask the caller if you can call right back. Recognizing that too much TV watching is harmful is the first step. Parents must model controlled use of the TV. Talking with the child about what watching can do and what it cannot do is helpful. Encourage other activities, especially those you do with your child and those that provide physical activity in the out of doors. We usually have some warning – big frown, flushing of face, balled up fists, lips twitching. Remember “One, any kid worth keeping will probably throw a fit from time to time. “Two, kids will through tantrums only as long as they work. Whatever conversation during the tantrum from the parent MUST be free of emotion. Some parents may want to rate the tantrum as if it were a sporting event – without emotion. During this non-emotional conversation give the child choices: In basement or room? ; With light on or off? The goal is to remove the child from your audience – without an audience the tantrum stops. Some children really train themselves and it is easy. Some children are really difficult to train. All children develop at their own rate – some are ready at two and others not until 4 ½. Keep the toilet training mood fun, exciting – even gleeful. With girls, the mom and draw pictures and talk about how the kitty and the dog do their business and how happy they are. Then model how happy it is to do as humans do. Allow the child the opportunity when she asks. “Eavesdrop value setting:” Allowing children to overhear conversation between parents – one telling the other how he/she had showed integrity and did what was right and “feeling good” about it. Children will whine and complain as long as it gets them what they want. At another time, explain that when you ignore them it is because you don’t want to hear unless they speak appropriately. Often you may walk away from the negative body language. Other times you need to give the child an opportunity to express their feelings. Other times, if you notice a pattern, you might say, “I have noticed that when I say something like I am going to say you give me the “laser eye” – get ready because now I am going to do it again. Giving them permission takes away the desire. Peer pressure begins in our toddlers. We teach them to follow a voice outside their own head – ours. As they become adolescents they start listening to their peers. Better to give your children practice making decisions – small at first: Chocolate or white milk? When they reach adolescence – let them know that you are available to talk with them about their relationships. Let them know that you want them to be themselves – not their peers. Let them know that if they need to use them as the “bad guys.” “My parents would kill me….” If they want. Pet care provides a great opportunity to learn responsibility. One option: “I only feed 4 mouths.” If the pets are not fed by 5:00 pm, the parent can feed Mom and Dad and the two pets. Kiss your child and say that she will be missed at the dinner table. Another option: Find a new owner for the pets. Another option: Parent takes responsibility for the pets. One option: allow the child time to decide whether they want to pick of the toys or if they want the parent to pick it up and keep it. For fairly responsible children, you may allow them to earn back toys. For hard-core irresponsible children, you may get rid of those extra toys. Modeling is essential – what does the master bedroom or garage look like? Making reference to how you feel when you have accomplished a clean-up of your own. Realize that seeking help does not mean you are a failure. After following the Love-and-Logic method and there are still big problems –seek help. If a situation is gradually getting worse over a period of three months, seek help. Professional help is not necessarily many long sessions; sometimes one session is enough. Ask your child if it is reasonable to have his room clean by Saturday when the family plans a trip to the amusement park. When the child says he doesn’t want to clean his room, you can say that it is ok because he can pay someone in the family to stay home and babysit him. Adolescents will stay in their room all of the time, if we let them. Younger children will not stay in their room – if the reason is some fear or trauma – deal with that. If there is no other reason – you may want to leave the house for the night and get a babysitter who will reinforce the message that the child is to stay in his room during the night because the parents need a good night’s sleep. If there is a family with a similar problem – swap houses. Keep it positive – no “digging” comments. Stay tuned for the remaining Love and Logic Pearls. Not recommended: choose friends we approve of and play at home or choose friends we don’t approve of and never play at home. Recommended: “Would you like to have friends that really test your decision making and thinking skills, or would your rather have some that don’t pressure you so much? Don’t remind – it robs the child to learn from natural consequences. Don’t rescue – No driving to school if they missed the bus. No writing excuses for tardiness. Keep the responsibility where it belongs – with the child. Be involved in the areas where your child excels. When together decide who will deal with the children – probably the parent. Any “advice” the grandparent gives to the parent should be without the child present. When a grandparent offers, unsolicited “advice”, the parent may request that the grandparent ask for the reasoning behind the parenting technique. Be sure all know the purpose of the visit. Parents and Grandparents may not expect the same thing. Homework must remain the problem of the children. Allow them to choose to spend that time doing their homework or thinking about doing the homework. Ask them how the teacher will respond if they just think about it. When a child says he is bored, he may be saying I want to spend more time with you. While parents need to spend time and play with their children, boredom is their problem to handle. Children need to learn to motivate and entertain themselves. When the child tells the truth: “Thank you for being honest. I’m sure it was hard for you to tell me that…and it was hard on you to know you made that mistake That is really sad.” Then drop the subject. Types of crisis situations that affect a family: drug use, runaways, debilitating injuries, suicide, death in family, crippling disease and many more. 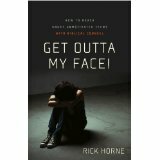 Emotional responses to these situations: guilt, worry, anxiety, anger, and grief. By nature, crises are temporary usually. Don’t try to deal with immediately – take time, pray, think, act rationally and seek advice when needed. To help cope, think about the worse possible outcome. If it is death for a believer, that is a good outcome for the individual. First – teach the child to sit and stay with you or in a corner in the same room as you or in a nearby room; Later — to go to their room. “We can be too tough.” Understand and use common sense. Tell your child what you wish he or she would do rather than giving an order. Sometimes when a request is given, it is wise to thank the child in advance, anticipating compliance. When the child is in a good mood, talk things over, exploring his or her feelings and laying down expectations in the future. Use isolation and/or change of location for behavior problem, rather than trying to stop the behavior. Use corporal punishment very sparingly, if at all, and then only as outlined in pearl 31. Expect children to handle it the same as the adults are handling it. Let the children know that the divorce is not their fault. Be honest about feelings and observations. Bad mouthing the ex-spouse backfires. Understand children’s misbehavior without excusing it. Give children a support group. Post-divorce counseling for parents and children may help. Handle visitation issues directly with the ex-spouse. Do not send messages with the children. Children need “moms” and “dads.” Generally, best to call steps – “mom” and “dad.” Children remember who the real parent is. Our negative emotions (anger, pleading, frustration) intensifies our child’s fears. While Part I provided 23 Love-and-Logic Tips, philosophy can go so far when you are in the middle of a parenting crisis. This second part provides some specific guidelines, scripts and counsel for those who have read part one. Here are 41 Love-and-Logic Pearls especially for parents of children from birth to twelve years of age. You will find here a summary of these pearls, but for best results you will need to read the book yourself. Rule 1: Allowances are not pay for doing their chores because every family member needs to do their fair share to keep the family operating smoothly. You may choose to pay them for doing YOUR chores. Rule 3: Best way for child to learn to save money is to allow him to reach his own “economic depression” by first wasting his own money. Rule 1: When your child’s mistakes hurt them only, commiserate with them. Rule 2: When your child’s mistake hurt you, let them know how it affects you and give them until bedtime to decide how they are going to make it right. Usually the battle of bedtime is over the control. Rule 1: Take away the power struggle by telling the child you need about 8 hours of sleep and 2 hours of alone time with your spouse. Rule 2: Allow the child to choose when that 10 hours begins by giving them two choices that suit you. You can offer a bedtime story or other family routine prior to that time. Rule 3: Allow the child to choose how they spend that time as long as it doesn’t interfere with your 10 hours. The child occupies himself in his own bedroom. Rule 1: Do not interject emotion in response to bossiness. Rule 2: When the child is bossy toward you, respond something like this, “Nice try, Tammy. Nice try. What do you think happens in this family when people get really bossy?” Then walk away. Rule 2: When the battle rages; explain the challenges of being confined in a car with lowering oxygen levels; older children can be outside and resolving their issue and regaining oxygen levels while the adult drives up a few feet and reads (watching for safety). Rule 3: When close to home and with a prearranged friend following close behind, these older children can be left to walk home. Rule 1: Say that your child is “doing things with” because in reality she is no help. However, she IS learning. K-1st Grade: cleaning up own messes; helping to clean own room; making own bed. 3rd Grade: Wash dishes periodically; vacuum the family room; sweep out the garage; take out the trash; wipe out the fridge; help clean dirty windows and the car. Rule 4: Place list of chores in a prominent place. After all have considered which ones they would like to do, have a family meeting to determine who will do what. If a child feels wronged, he can ask for renegotiation. Rule 1: Model good behavior and express positive attitudes about attendance at church activities. Rule 3: Talk it out with the rebellious child. Find out what about church attendance is unacceptable in his mind. 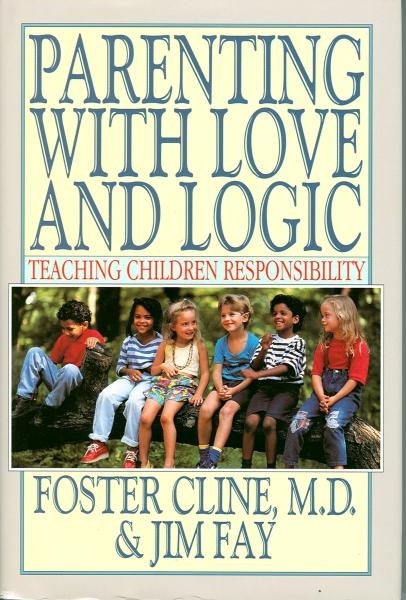 In the first part of this book, : The Love and Logic Parent Foster W. Cline M.D. and Jim Fay explain and demonstrate what a “Love and Logic Parent” is. Overall, Cline and Fay use Scriptural principles to help parents to teach their children responsibility. A wise child loves discipline, but a scoffer does not listen to rebuke. Love-and-Logic Tip #1: Unfortunately, when our gut talks, our head listens. Using “Significant Learning Opportunities” (natural consequences) often goes against the grain. P. 26 Allowing children to make their own decisions on gradually more significant issues trains them to be responsible for their own actions. Love-and-Logic Tip #7 It can be a cold world out there. Allowing a child to choose to not wear a coat, for example, when it is cold helps him to wear a coat the next time. However, natural consequences must not put the child in danger. Love-and-Logic Tip # 8 Responsible Kids, Irresponsible Kids – The more decisions kids have to make for themselves, the more responsible they are. Further, teaching them that they can go to God to help them in times of need remain with them. Love-and-Logic Tip # 9 Knowing when to stay in the middle of the problem and when to let the child resolve it helps. Parents should step in when the child is in danger or when both the child and the parent know it is too big for the child. Love-and-Logic Tip # 10 If it’s a problem for us, it should soon become a problem for them. Our authors give the example of the mother taking the child’s dog to a friend’s house to stay for three days or forever depending on whether the child will care for the dog or not. Love-and-Logic Tip # 11 Using Love and Logic with Toddlers – 1) Modeling good adult behavior and 2) life or death issues. When a toddler demands to be picked up, the parent should calmly say, “Lay down on the floor, I can’t pick you up when you act this way.” Children then can learn to say, “Please pick me up daddy.” In life or death situations, behavior is different. We build walls that don’t crumble – boundaries for safety and security. Life after birth is much different than life in the womb. Issuing commands is not necessary while talking to toddlers. Stay tuned for eleven more Love-and-Logic Tips and forty-one Pearls as we continue working our way through the this invaluable book for parents. What Mistakes Do We Make With Teens? Not spending time with your teen. Letting your teen’s activities take top priority for your family. Trying to be your teen’s best friend. Holding low expectations for your teen. Not prioritizing youth group/church involvement. Outsourcing your teen’s spiritual formation. Not expressing genuine love and like to your teen. Many parents think that their teens do not want to spend time with them and they may even say they don’t, but Strong says that they really do. Your teen’s activities should not trump family time. Baby booming parents who lacked all of the luxuries of life often go overboard with providing superabundance for their children. You need to be a parent and not a best friend to your child. Expect much from a person and he will usually achieve that. Parents must take the primary responsibility in their teen’s spiritual formation and should not expect them to have a devotion to God that you personally are not pursuing. Of course, you should express your love for your teens to them. Part of taking responsibility for your teen’s spiritual development would include being involved in a church as well as making that a priority in your family life. Many churches separate age groups much too often and too much. Strong’s view of Youth Groups is very typical of the church today. I have been involved in and have known of other churches that do not have Youth Groups. Christian young people are in training and become involved under the leadership of more mature adults. In my experience these teens and young adults are more mature than many in our society. One thing that Pastor Strong did not address is that some of the teens of Christian parents are not believers. While standards of conduct must be taught to all of our children of all ages, those who do not profess to be believers will not take part in the “on the job training” in the church. Remembering that salvation is of the Lord, Christian parents must continue to pray for their children’s salvation, live the Christian life before them, and love them. I interviewed some mothers who are part of the kind of church I described above. Social scientists observe that the period of adolescence (between puberty and the time when individuals enter the adult world with all of its responsibilities) has extended from around three years to up to 15 years. They don’t necessarily offer reasons why this change, but I believe that part of the solution is knowing the causes. What do you think is the cause? Why do young people go through puberty (onset of adolescence) many years earlier now than a century ago? In a recent teleconference, Young Living Essential Oils users offered the use of synthetic, chemical based personal products such as lotions and perfumes as a cause. In their experience they have observed this. Does your personal experience match this? What other causes do you offer? I believe it is in our foods and our environment that grow people very differently. I think you are correct in the phytoestrogens and endocrine disrupters that our environment is rife with being a factor. I also think just the stimulation of imagery all around us possibly also being a factor. Puberty begins earlier due to hormones in our food. My observations have been that the children of friends who eat a typical modern diet (fast food and processed food) mature physically faster. Those whose parents prepare homemade, healthy meals have a later onset of puberty. This would be similar to the thoughts prescribed by YLEO regarding added chemicals. 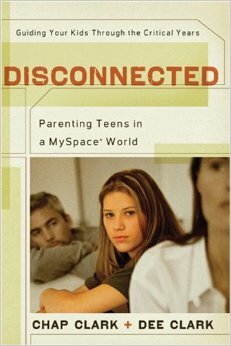 What family-raising activities / styles affect the time span of adolescence (the completion of adolescence)? Can the following affect the change? Homeschooling vs. Private School vs. Public School? Children are given responsibilities, beginning at an early age and grow as they mature? Family industries consider each family member as a part of the successful operation? The old nature vs. nurture question comes to mind! I think there are many factors involved in the span of adolescence. Each of the experiences you listed definitely make an impact. As a Christian family, we chose to protect our children’s innocence as long as possible. That was easy when we had small children. Once the older children came in the know of more worldly things then the younger children were exposed to these things at a younger age than the first. I do not know yet what kind of impact this will have on their adolescence as they are still children. : ) I think homeschooling can go both ways. I know some parents who are still micromanaging adult children in their 20s and parents who want their 10 year old son to be an entrepreneur and managing his own business. What my first born was capable of doing at age 13 is far different than what my 13 year old today does. Is that birth order, lack of parental training, personality of the child? Who knows? God, and I rest in that! Our parenting philosophy was to raise independent adults. When my husband cut our first child’s cord I made the comment, “There goes the first apron string.” We never spoke baby talk to our children, we didn’t use a limited vocabulary, we didn’t read children’s Bibles in family devotions. All family discussions were on an adult level. Our children were welcome to be part of adult conversations. So far, most of my adult aged children are adults. Things are different now that I am a widow and am raising them alone. I don’t have the time or energy to put into the younger ones like I did with the older ones. It will be interesting to see how they turn out. God, alone, knows who they will become. My responsibility is to point them to the cross, while remaining on bended knee. Some other thoughts: the term teenager does not appear in scripture or in literature until the 1940s or 1950s. I think it is a Madison Avenue word for marketing purposes. Children and adults were not enough for sales. Today we have such a marketing culture to tweens, teens and young adults. The sad thing is that many middle and older adults have not gotten past their young adulthood. It’s like 18 to 25 is the magic age to remain forever. This makes a great impact on our society. As far as adolescence, I would add birth order to your list of factors. First borns tend to be far more responsible in at least a home school setting, where younger kids historically are not required as much of in any setting. A Christian family would tend to instill thinking of others first, like Christ. b. I believe all forms of school have their problems. You can’t totally shield your children from the world; if you do…it might be from fear. c. I do believe as soon as a child can walk, they can help with responsibilities and they know in the beginning what is expected and how to prepare for life. d. Absolutely each member is important! We are reflections of each other and we each have strengths maybe another member does not have. e. I always think that if one had to live in a box, they would figure out a way to sin. Without Christ we are paralyzed and unable to sin less. Thanks to each of you ladies for your input. Disclaimer: Pastor Jeff Strong mentioned in his article, “The Emerging Church.” I encourage you to read or listen to Dr. John MacArthur’s information about this movement.